There are many association and societies in a campus like NHS etc. The main festival at Institute of Medical Sciences is Malviya Diwali which is celebrated on 25 Dec every year. There are three hostels for boys and two hostels for girls, hostel are very big and airy with proper hiegene and water supply for hostellars. 4000 rupees fees for hostel per year at Institute of Medical Sciences. Food is excellent and it cost about INR 25 . 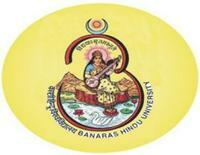 The qualities are very good because it is a highly ranked institute in India. The daily routine of my classes at Institute of Medical Sciences is from 10 am to 5 pm. The method of teaching is good, many digital and hi-tech equipment are used for teaching. My overall experience is good, and hoping for a bright future. My course fee is IN 50000 per year. There are many scholarship programmes for our college, national and state. 70% student get scholarship each year at Institute of Medical Sciences. Per year package is about 3 lakhs per annum at Institute of Medical Sciences.